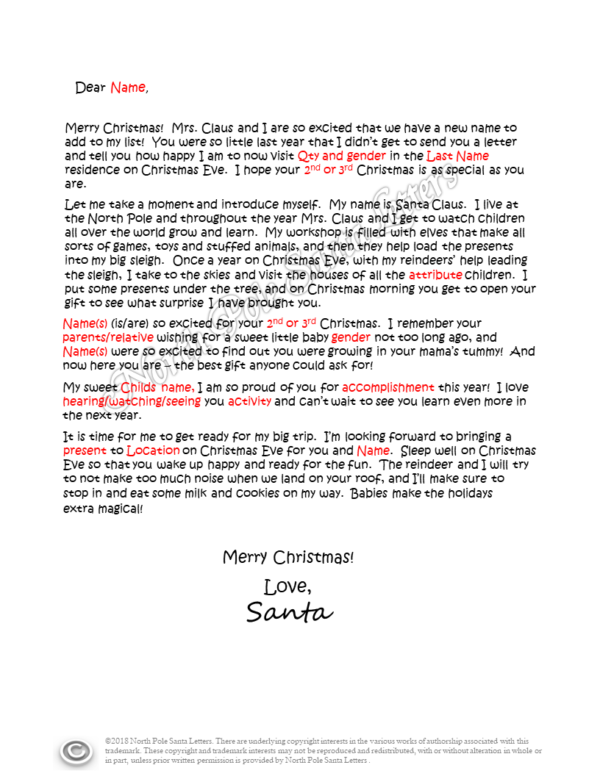 Let Santa help teach your child about Jesus Christ and His love through our religiously-tailored Santa letters. Our The Birth of Jesus letter is designed to help teach why we celebrate Christmas – the birth of Jesus, but is also filled with praise for your child’s accomplishments and news from the North Pole. and be sure to come back next year! Count down the days to Christmas using the official Christmas Countdown Clock. Watch some funny Christmas videos, sure to have you laughing out loud at Funny Christmas Videos. To view some great Christmas quotes visit Christmas Quotes.